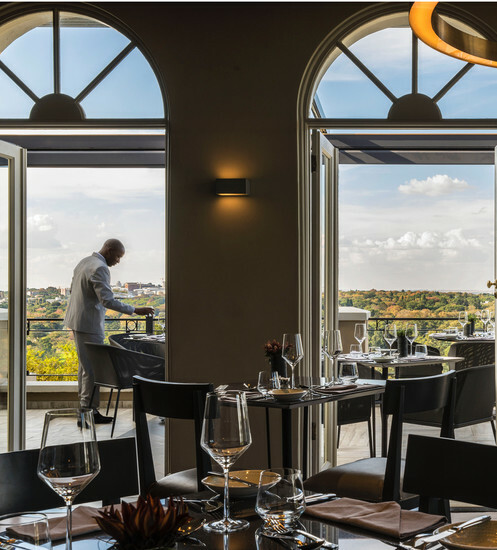 Epitomising understated chic Four Seasons Hotel The Westcliff is a sedate Shangri-la boasting some of the best views over Johannesburg's tree landscape. 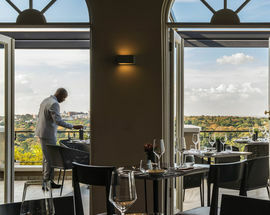 The intimate fine dining venue View adjoins Pre View, a more 'casual' cocktail and tapas small plates bar, both offering supreme views over Joburg's urban forest. A golf cart will ferry you up the vertiginous hillside or, you can reach the restaurant by the glass elevator. The interior is all contemporary restraint, a shot of acid yellow upholstery amid the inky tones that were designed to conjure the evening cityscape. 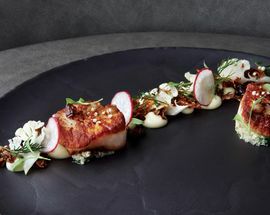 The chef is Daniel Payne who served under both the hotel’s former Michelin-starred chef and a chef from Cape Town’s The Test Kitchen (among the world’s 50 top-rated restaurants). 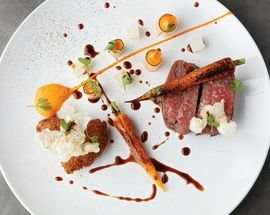 Payne presents a fresh take on contemporary cuisine with a six-course seasonal tasting menu or an eight-course degustation menu, with local or international wine pairings. 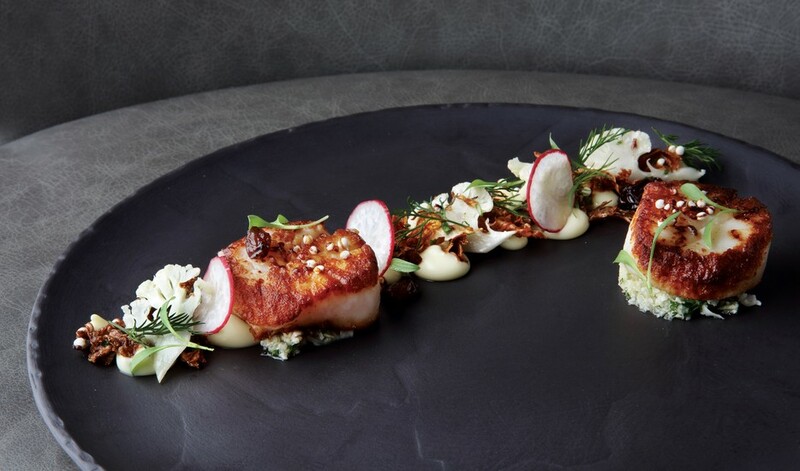 Service is impressive and you can expect an exciting combination of tastes with dishes that will tantalize all senses. 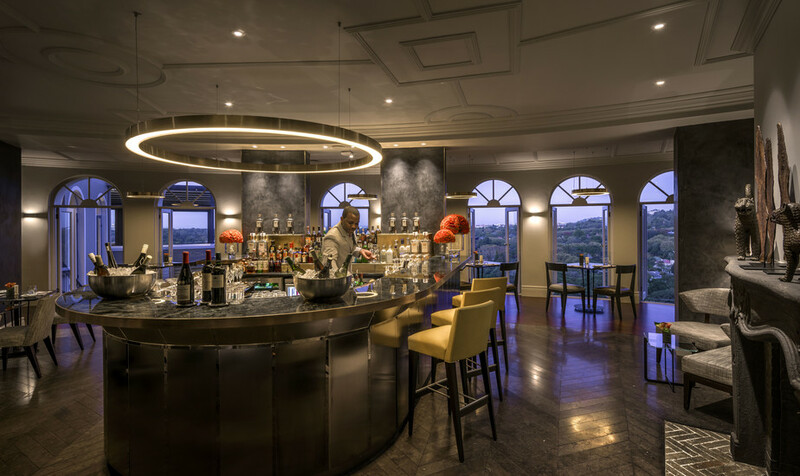 Kick off the night with a signature cocktail – we recommend The View – Above the clouds, a combination of whisky, Caperitif, grapefruit and kombucha. The awe-inspiring views come standard. In fine weather book a table on the terrace. Bookings are essential for View, while Pre View encourages walk-ins. View is open for breakfast Mon–Sat 07:00-11:00, dinner Tue–Sat 18:00–21:30. Reservations essential. The bar and lounge Pre View is open Tue–Sat 18:00–21:30. RRRR. 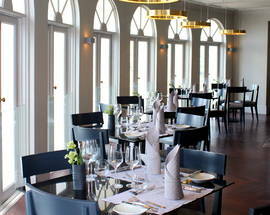 Tasting menu R850, wine pairing an additional R395 for local wines and R595 for international wines. 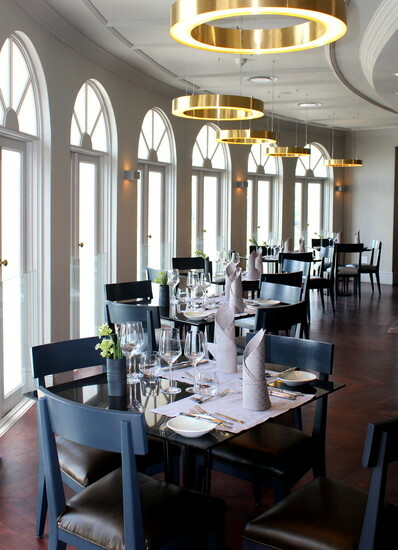 Degustation menu R990 with the local wine pairing R595, and View pairing R795. 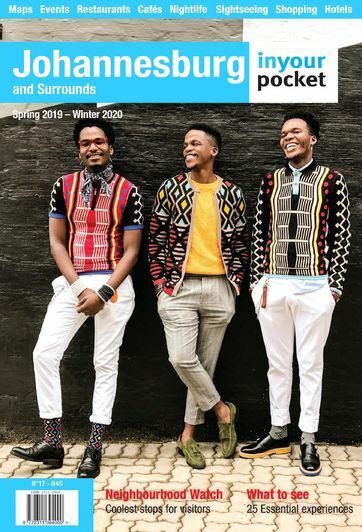 All prices are per person. 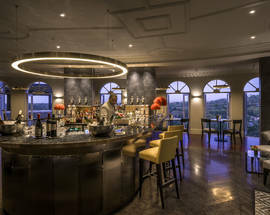 Flames is the luxurious Four Seasons Hotel The Westcliff’s urban casual dining spot. 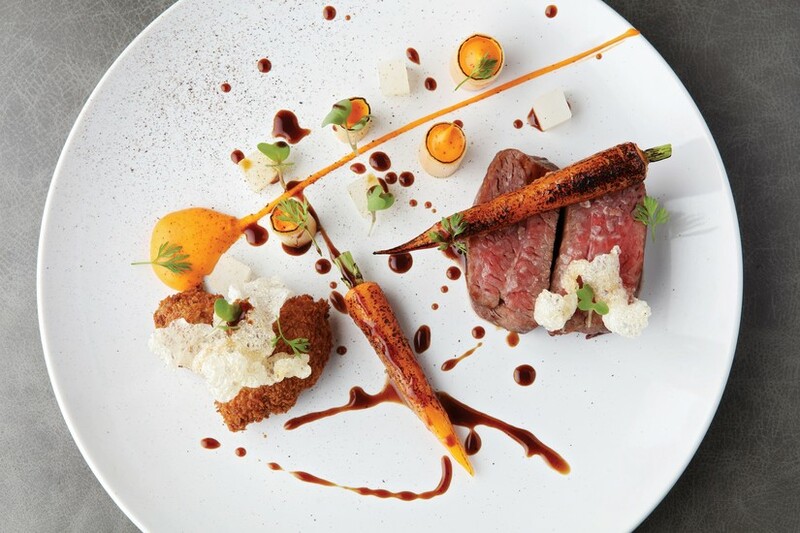 Lunch emphasises bistro fare, with the grill taking centre stage. For starters try the goat’s cheese salad with walnuts or the piquant tomato and watermelon gazpacho.